Although most traders scorn astrology for market advice, looking at the sun may offer useful insight into the markets' activities. Planet-sized storms on the sun, which create the dark spots seen in Figure 3 below, can increase solar radiation dramatically, impacting the our markets here on Earth. 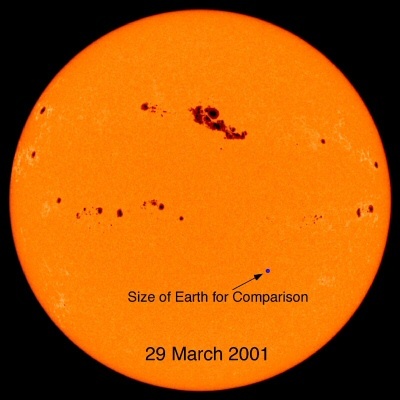 Known as sunspots, the frequency of this phenomenon changes in an 11-year cycle that scientists have linked to altered global climate, economic recessions, and even large-scale geopolitical events. Scientists' most prominent example of sunspots' importance was 1645-1715, a period known as the "Little Ice Age" when there were essentially no sunspots, significantly lower global temperatures, and widespread agricultural impact. Figure 1. Observed sunspot activity over the last 400 years. In 2009, sunspot activity reached its lowest level since 1928, which some analysts linked to numerous market trends. Most noticeable for commodity traders, 2009 was especially cool and wet across the Midwest, hampering corn and soybean planting in the spring as well as the fall harvest. A detailed look at NOAA recent sunspot data can be seen below in Figure 2. As shown in red in the graph below, NOAA scientists project that the trend will continue in its normal rhythm, reaching minimum solar output again in the coming years. Looking ahead, sunspot-driven weather patterns could have a noticeable impact on the agricultural and energy markets and warrants close attention by traders. As sunspot activity reaches low levels, the world could see cooler temperatures over the next few years and increased risk of droughts. For more information on sunspots, please visit the websites of either NASA or NOAA for updated information. Figure 3. An example of moderate sunspot activity. Figure 4. 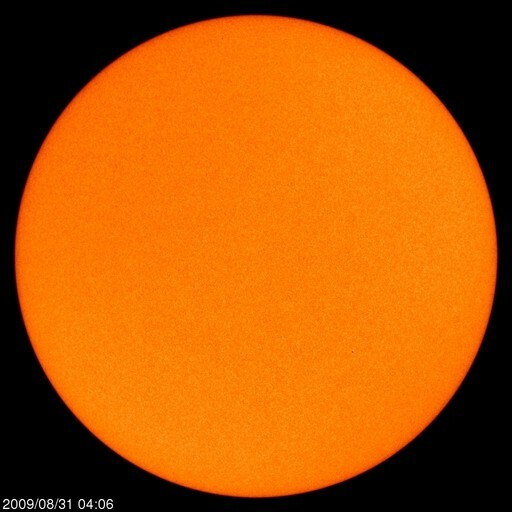 The sun in Fall of 2009, showing no sunspots.